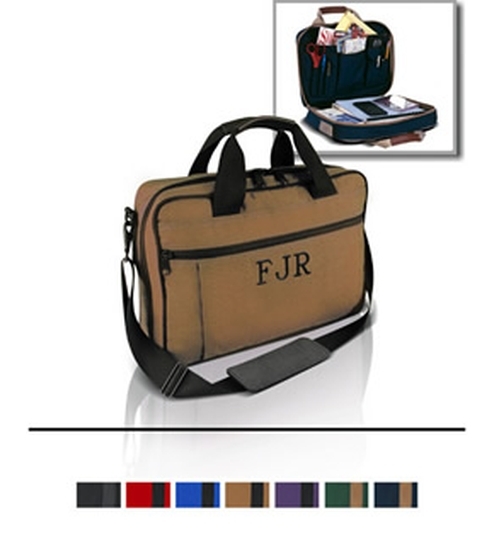 The classic style of the Executive makes it one of the most popular attachés we offer. The Executive features a myriad of useful components. Cordura® nylon fabrication, heavy # 10 zipper, two-inch nylon handles make this one of the most durable business cases you can find. The outside pleated pocket allows for quick, easy access for storage. Inside you find two zippered pockets, three large organizers, pen pockets, and a key ring clip.